Air Compressor: provide compressed air source for the PSA nitrogen separator, the flow and pressure are to be decided by the desired nitrogen flow rate, purity, outlet pressure. As it is the air source of whole system, the performance of air compressor has remarkable influence to the whole Nitrogen Generator system. Air treatment part: get rid of water, oil, impurities in compressed air coming from the air compressor, providing clean, dry, oil-free compressed air for the PSA nitrogen separator. It includes 3 filters, 1 refrigerant dryer and 1 activated carbon oil remover. After treatment, dew point of compressed air can reach -20 degree (normal pressure) , dust content is not larger than 0.01mg/m3, solid particles diameter is not larger than 0.01μ, oil mist content is not more than 0.003mg/m3. 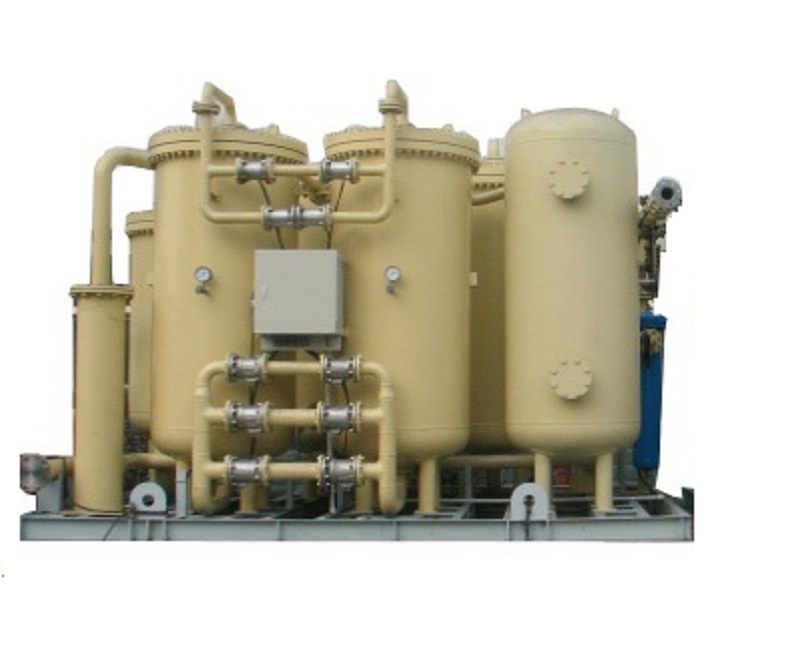 Nitrogen separator:It is the key part of whole system. In this part, the nitrogen is separated from compressed air, sent to buffer tank as produced gas. Oxygen, carbon dioxide, argon, etc. are discharge from muffler as exhausted gases. The efficiency of this machine is mainly decided by adsorption tower structure, air distribution structure, molecular sieve performance, process flow, etc. Nitrogen buffer tank: It balances pressure fluctuation, ensure stable nitrogen supply;With nitrogen re-blowing system, this N2 buffer tank can also quickly increases the pressure of adsorption towers. Looking for ideal Smart Nitrogen Generating Machine Manufacturer & supplier ? We have a wide selection at great prices to help you get creative. 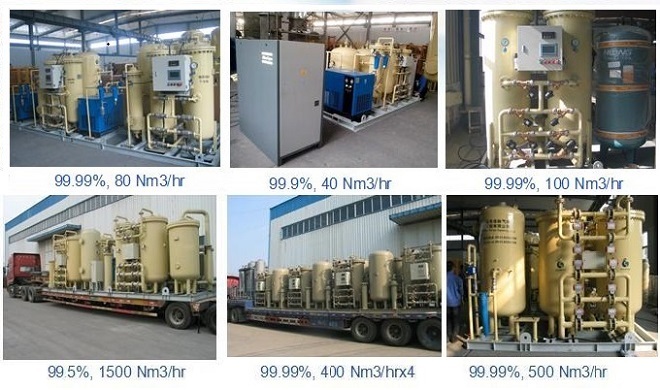 All the High Purity Nitrogen Generating Machine are quality guaranteed. We are China Origin Factory of Industrial Nitrogen Generating Machine. If you have any question, please feel free to contact us.